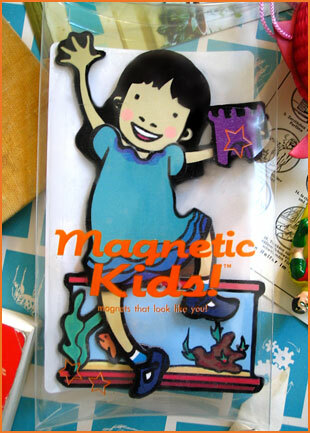 Magnetic Kids are magnetic paper dolls, hand-drawn by Brooklyn based illustrator/animator Gaia Cornwall and printed on 30 mil magnetic paper. Currently, the line includes five Kids, four Pets and twelve different Outfits. Maia donates 10% of the net profits to charitable organizations that benefit children.